Still need an idea for a Valentine’s Day dessert? 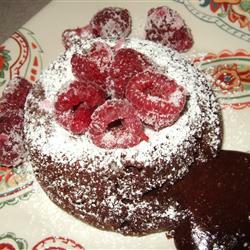 This one is extra special with the liquid chocolate center and raspberries on top. You could use strawberries if they are cheaper. Serve warm if you want it to be more “molten.” These make an impression. Click here for the recipe at AllRecipes.